Bodybuilders have been known to use the drug in order to increase body mass more effectively than by weight training alone. A normal bodybuilding dosage can range from 200 mg/week up to 1400 mg/week. Due to the relatively short metabolic half-life of trenbolone acetate, dosages should commonly be split into injections at least once every two days. 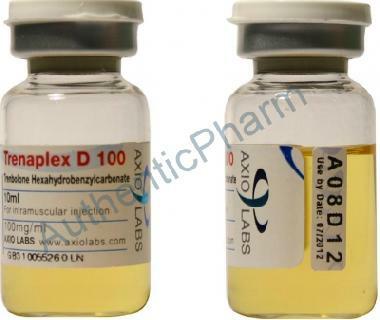 Trenbolone enanthate can be injected once a week.Trenbolone hexahydrobenzylcarbonate can be injected even less frequently than trenbolone enanthate.